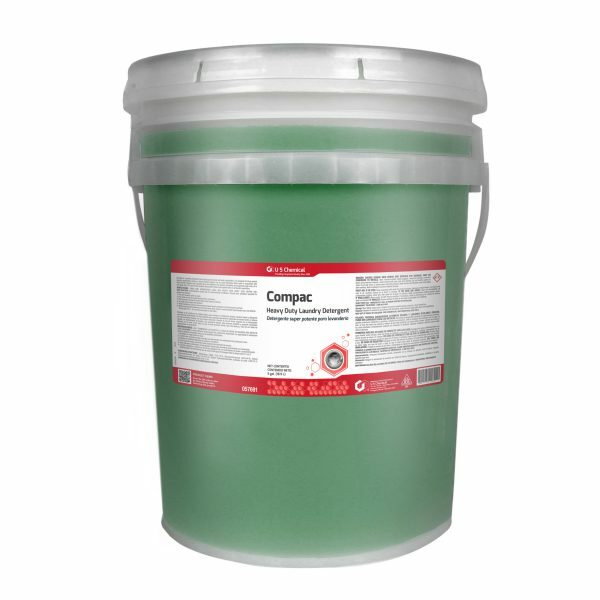 Compac is a phosphate free liquid laundry break and suds combination. When used in conjunction with liquid laundry bleach and a laundry sour and softener, this product emulsifies and suspends tough soils, all in one easy step. The use of this product will provide whiter and brighter fabric in all laundry operations.